Here's some great Steampunk fashion inspiration from 2011's America's Next Top Model (Cycle 19: College Edition). 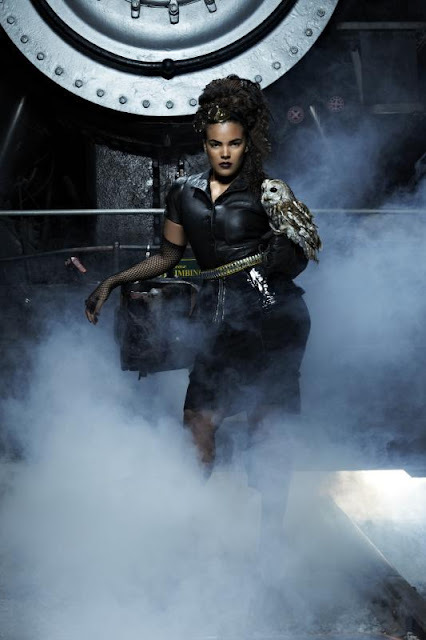 ANTM created a beautiful set for a Steampunk themed photo shoot, styling the models in gorgeous clothing and selecting a live owl for them to pose with. The beautiful black, white and red lace masks featured in the shoot are by LacedAndWaisted and can be purchased here.